Indian Camp Road is named in remembrance of the Indiain camps that existed here in the 1800s. 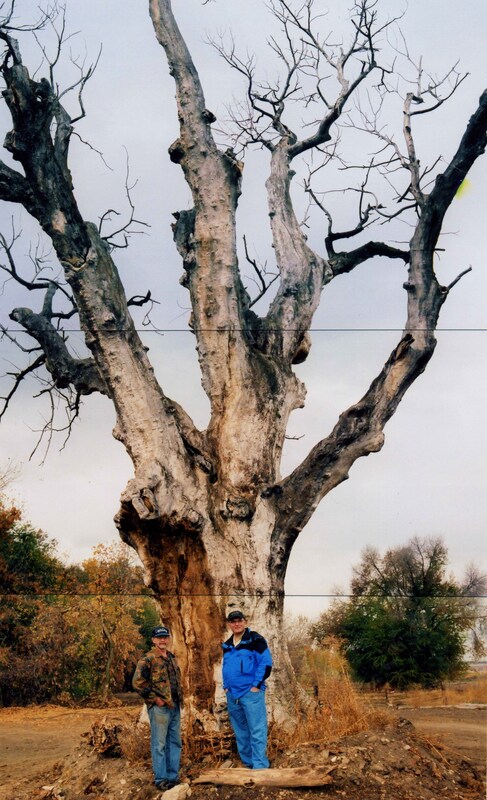 2005 view of Indian Tree before it was cut down; site is 145 Century Dr.
1968 view of Indian Tree; the Indians once hung their meat in the tree to dry; photo Dave Montgomery. 1983 view of Indian Tree from 2nd St.; the tree became a symbol of the Indian camps that use to fill the surrounding meadows; the tree died in about 1997; it was cut down in 2005. 2011 view of the same site pictured above. 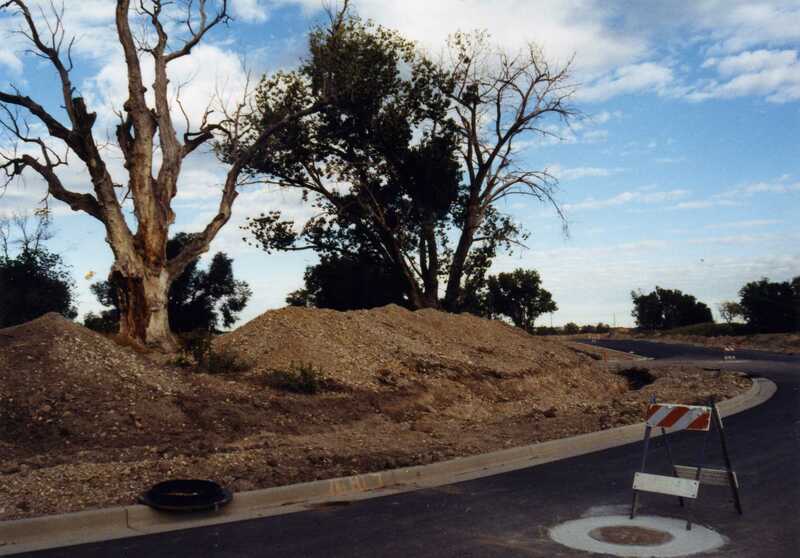 Century Dr. was first road of Fort Bingham subdivision; Indian tree on left; photo 2004. The Indian Tree was a landmark on 2nd Street for 100 years, symbolizing the former surrouonding Indian camps; the tree was located at today’s address of 145 Century Drive. Indians camped here and hung their meat to dry in this tree and others. A large spring was located near the tree and a pond 3 blocks to the north. The tree and surrounding Indian camps were described by four writers over the years. 1. 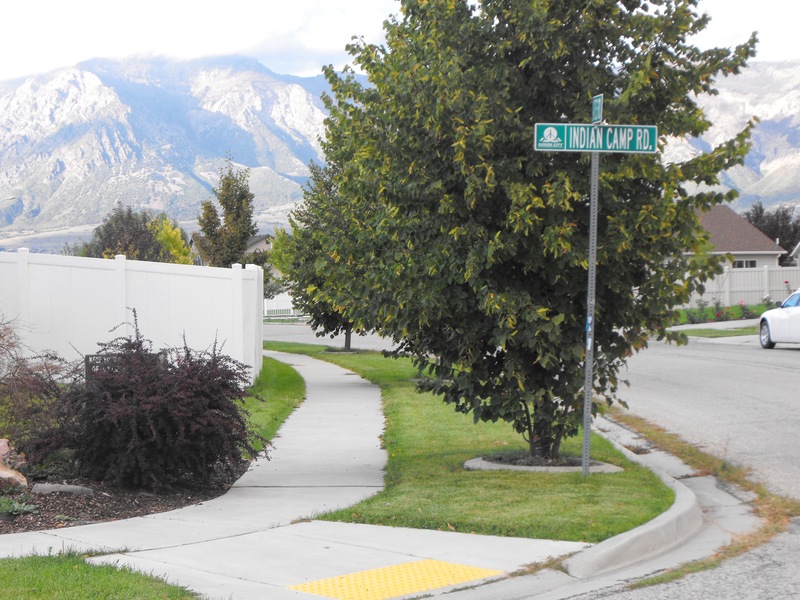 Sarah Stone Crowther (1872- 1963) grew up on today’s Fort Bingham subdivision. She wrote in the 1920s: A very large tree stands on the place and it has been there for fifty years. It is a monstrous tree today measuring around the trunk, and its outspreading branches are a sight to behold, and I am told it is the largest tree in Weber County. Many times my brothers have wanted to cut it down but I have always put up such a fight for it that I have won out and the tree still stands. There used to be another tree like this one in a field below us and many more smaller ones. When I was a little girl about eight years old (1880) great companies of Indians used to come to this spot and camp for weeks at a time. This use to please me. I have always liked the Indians and then they were so peculiar in their mode of living. I have seen five and six wicki-ups planted in between the trees and they always had lots of horses with them. There were always papooses and I was crazy to see them. They use to hang their meat in the trees to dry. They would beg for everything they saw, and sometimes old bucks would get drunk on whiskey and then we were afraid of them for they would quarrel and shoot at each other and someone would have to get an officer of the law to quiet them. They would stay for a few weeks and then they would all go again. One cold autumn day they drove away and left an old Indian woman. She was very old and they left the poor old thing to die. She came up to our house (386 West 2nd Street) and begged for clothes. She was freezing, and she could not see but very little. We asked her why she did not go with the others. She said she was too old and that she must die. They would not have her any more. I do not know what became of her after she left our place. 2. 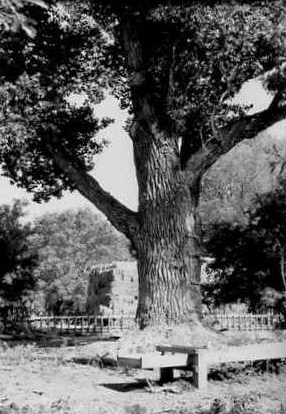 Gwendolyn Shaw wrote in 1928: On West 2nd Street, Ogden, Utah stands an old cottonwood tree which is the largest specimen of its kind that I have ever seen. It towers above and spreads its protecting branches over a tiny log house which was built within the confines of Bingham’s Fort… It has stood unmoved through the changes of time, indifferent to the change of flag and government, the passing of the Indian, the coming of the fur traders and trappers and finally the coming of the Mormon settlers…. Ancient Indian arrowheads were plentiful on the Bingham/Stone farm. The Stone family filled a shoe box full with arrowheads over the years of plowing the fields. It was easy to see them when plowing with a horse, but a sharp eye could also spot them from the high tractor seat. 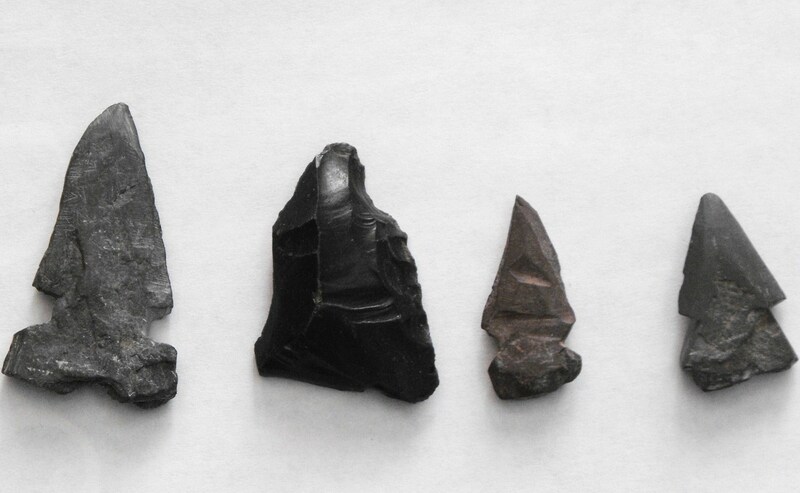 Sample of arrowheads found in the fields of the Bingham/Sone Farm. Autobiography of Sarah Stone Crowther, manuscript, typed 1959 by Macel Stone Montgomery, p.1. Gwendolyn W. Shaw, History of Bingham’s Fort, Weber College, Ogden Utah, manuscript, 1928, p.1. Editors Dorthy Amelda Sherner and Laura Sherner Welker, Mary Elizabeth-Her Stories, manuscript, 1933, p. 20, 85, 88; Dorthy Amelda Sherner and Laura Sherner Welker, Mary Remembers, p. 101. Ibid, p.85.